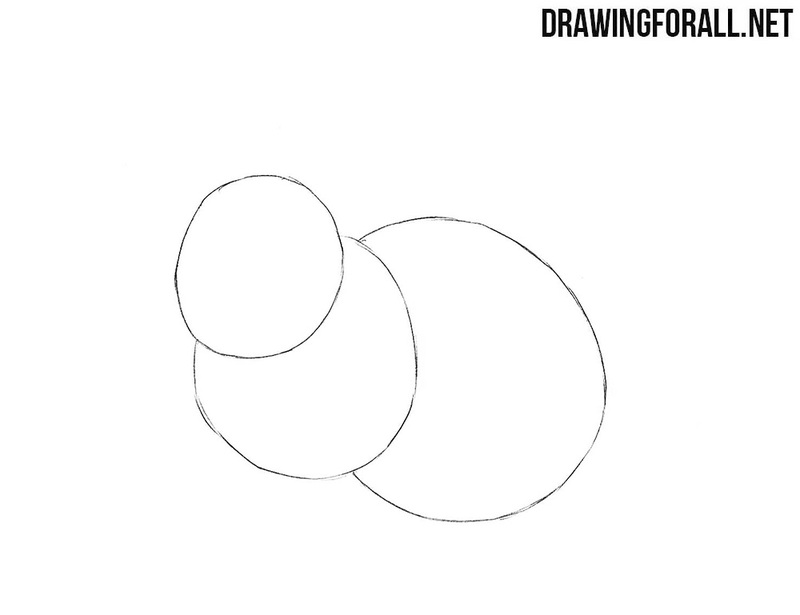 With the help of a circle sketch out the head. 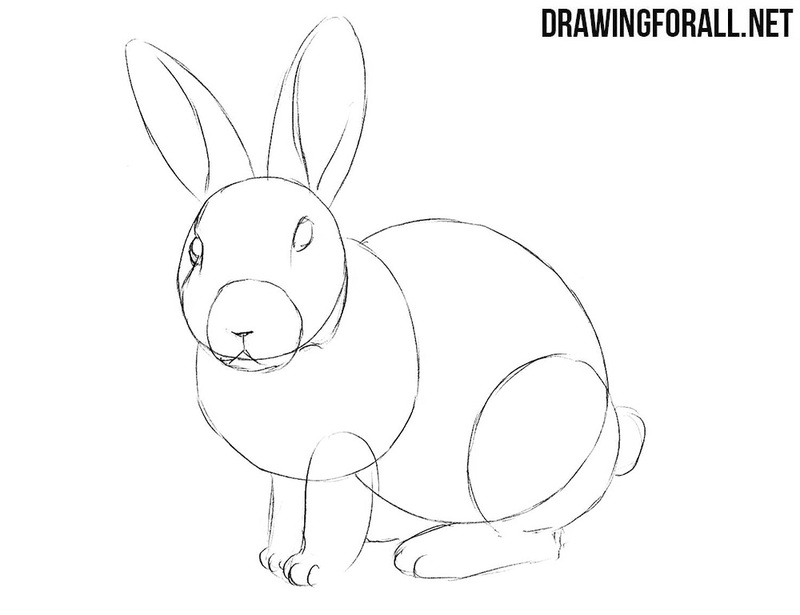 Next, also using two circles, sketch out the torso of the rabbit. 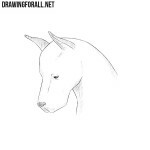 With the help of a circle sketch out the muzzle at the lower part of the head. 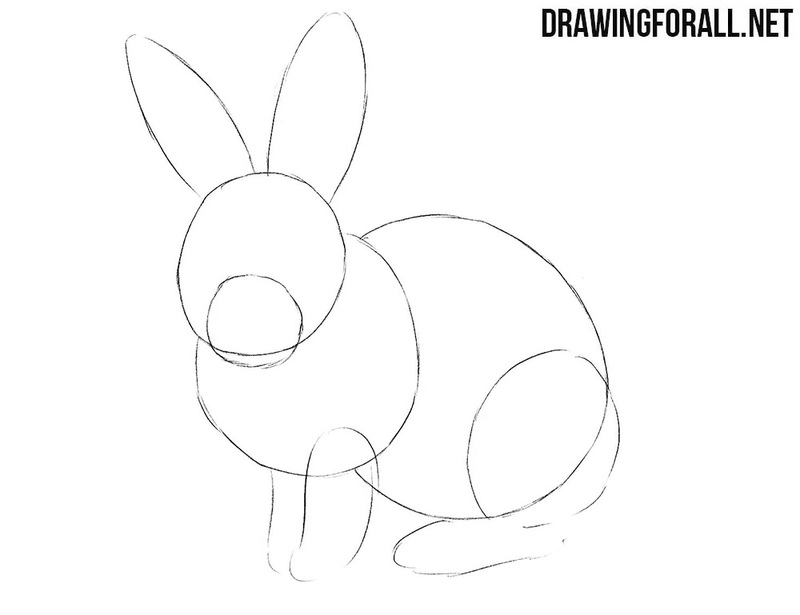 With the help of ovals sketch out ears and paws. 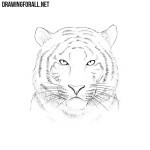 Draw out the eyes, nose and mouth. Next draw the lines in the ears. 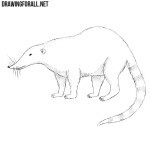 Draw the fingers and a small round tail. 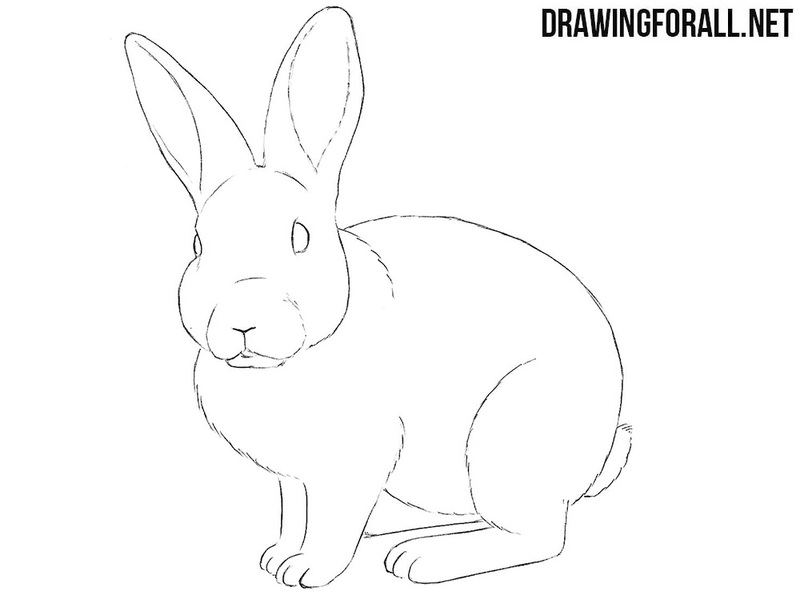 Erase all the guidelines at the head and as in our example using sharp and smooth lines draw out the details on the head of the rabbit. Now we need to detail the body of the rabbit using smooth and dark lines and remove all the guidelines from it. We paint the eyes black, leaving glare. 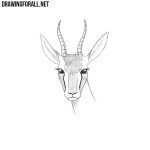 Next, add shadows using dense hatching as we did in the drawing below. 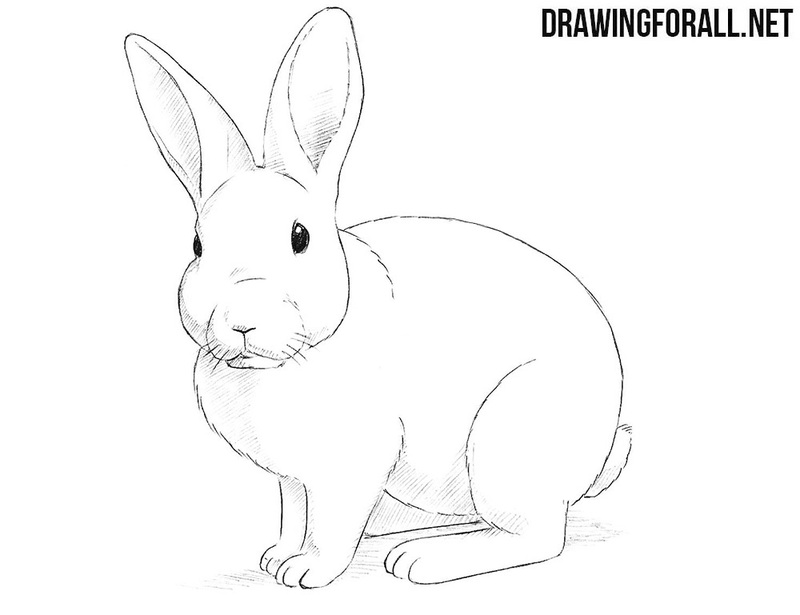 This lesson was quite complicated, but it taught you how to draw a rabbit. By tradition, a couple of useful tips. 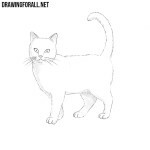 In order to draw more “fur” outlines of the body, use short lines. 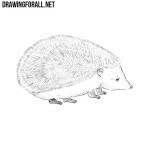 Another important tip – the first steps of this lesson should be done with very light lines, so that in later steps it would be easier to erase them.